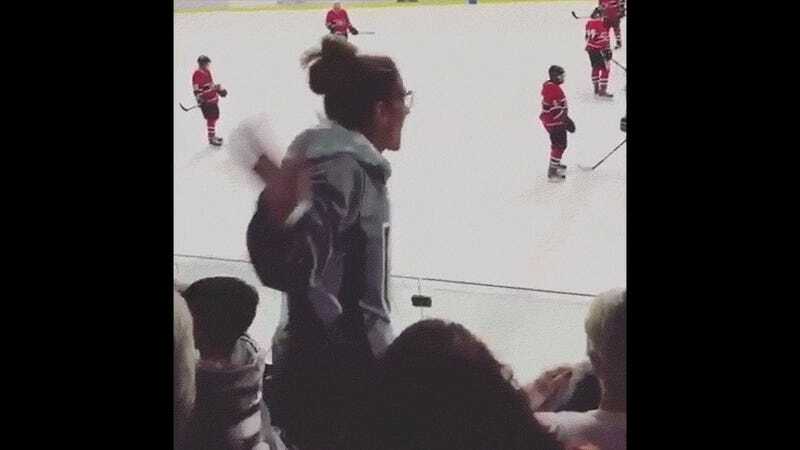 Canada’s unrivaled Queen of Gossip Lainey has directed her readers to video of Canada’s unrivaled Queen of Music Celine Dion enjoying her son’s hockey game. There’s admittedly not much to the video—it’s just eight seconds of Dion low-quality cell phone video—but, well, eight seconds of bliss is eight seconds of bliss. Remember those strange courtroom sketches of Taylor Swift that didn’t really look like Taylor Swift? Well Jeff Kandyba, the artist responsible, has spoken out about the backlash to his work, and has an explanation for their...inaccuracy: she’s too dang beautiful! Who Do You Think Taylor Swift Looks Like in This Courtroom Sketch?